West Ham can be forgiven for Wednesday’s loss at Manchester City and were previously on a strong upward curve, according to our Trueform ratings. Newcastle will be no pushovers following a run of four wins in six Premier League matches, but they were beaten 3-0 by the Hammers on home turf at the start of December. We fancy the hosts to confirm that superiority at 21/20 for our opening West Ham vs Newcastle prediction. West Ham will have mixed views on their 1-0 reversal at Etihad Stadium, where City benefited from a soft penalty decision but did also create numerous other chances. City racked up 20 attempts on goal compared to West Ham’s two and enjoyed 76 per cent of the possession, but Pablo Zabaleta was far from downbeat after that defeat. He added: “Our plan was to try to be defensively good enough and don’t give them some chances, make it difficult. I thought we did quite well. 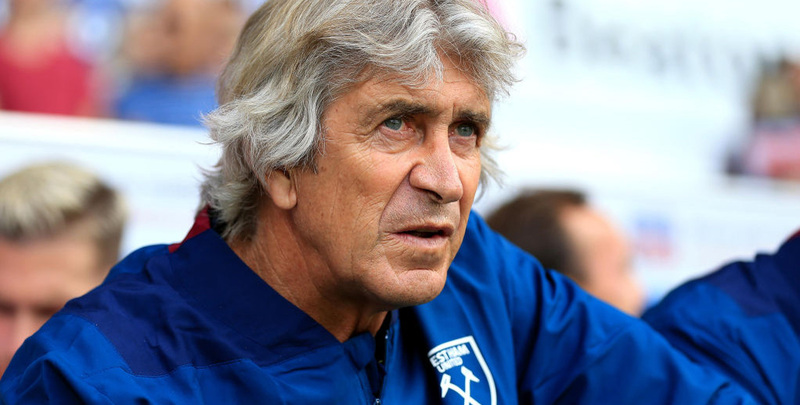 The Hammers will now try to get back on the front foot and their home form has been strong of late, beating Arsenal and Fulham either side of a positive draw against Liverpool. Michail Antonio scored in two of those games and has been getting forward well, so 11/4 for him to net at anytime takes the eye from the West Ham vs Newcastle odds. Last West Ham line-up: Fabianski, Ogbonna, Diop, Fredericks, Anderson, Obiang, Nasri, Antonio, Rice, Johnson, Carroll. Marko Arnautovic will be back in the West Ham squad after illness. Full-backs Aaron Cresswell (toe) and Arthur Masuaku (knee) are also available, but centre-back Fabian Balbuena (knee) will not be involved. Newcastle have had some kind fixtures during their good run of results and took advantage of a below-par display from Burnley to prevail 2-0 on Tuesday. A blistering long-range drive from Fabian Schar and Sean Longstaff’s first Premier League goal helped the Magpies to see off the Clarets, having previously beaten Huddersfield by the same scoreline. Schar said: “We knew before how massive the two home games would be, especially playing against two teams more or less in the same position in the table. Rafael Benitez’s side have also shown they can be dogged on the road in recent weeks, but we just fear their intensity may drop a touch due to pulling clear of the relegation zone. Let’s add 9/4 for the Hammers to be ahead at half-time and full-time to our West Ham vs Newcastle betting tips. Last Newcastle line-up: Dubravka, Schar, Lascelles, Manquillo, Lejeune, Ritchie, Hayden, Almiron, Longstaff, Rondon, Perez. Newcastle midfielder Jonjo Shelvey will miss out after asking to play for the club’s under-23s as he returns from injury, while keeper Rob Elliot (back) and defender Ciaran Clark (knee) are still unavailable.